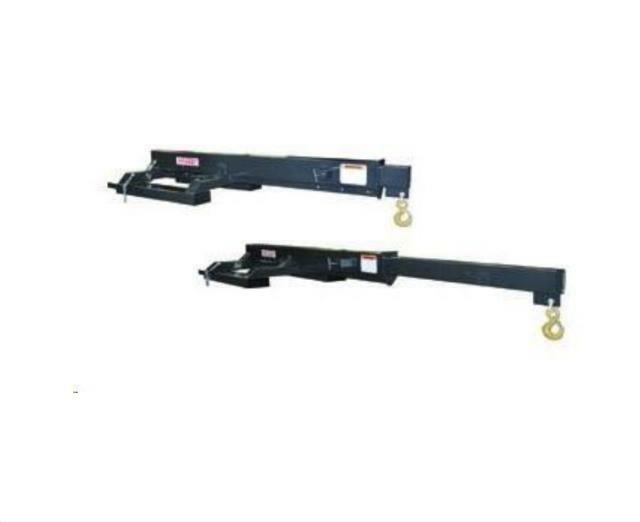 Industrial Jibs are made to fit telehandlers and industrial fork lifts. Spring-loaded pin locks the jib in each position. Max Load Capacity: 6000lb at position 1. * These Lift capacity rating are for the Industrial Jib only. The lifting capacity is ultimately determined by the host machine. Never lift more than the operating capacities of this Industrial Jib or the capacities stated by the Manufacturer of the host machine. Distance between narrow edges of fork pocket: 21"
* Please call us for any questions on our __jib boom 6000 telescoping rentals in Whistler BC, serving Squamish, Pemberton and the Sea-to-Sky Corridor.